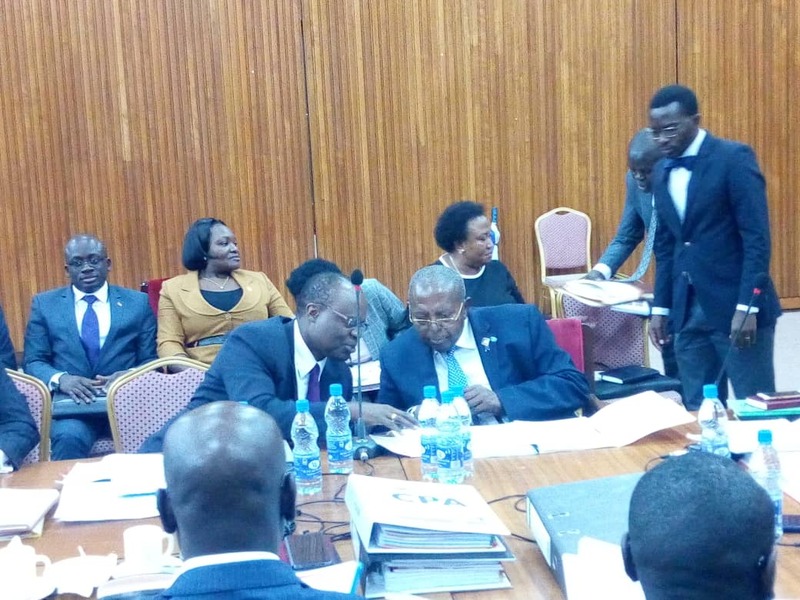 KAMPALA – Bank of Uganda (BoU) Governor Emmanuel Tumusiime-Mutebile and his deputy Dr. Louis Kasekende are on Monday returning to Parliament to face lawmakers as the inquest on the sale of seven banks including the Shs 200 billion giveaway of Crane Bank to dfcu Bank enters week two. The MP’s inquiry is also focusing on the mismanagement of closed banks and dealings with external lawyers as unearthed by the Auditor General in his special audit report to Parliament. N ew evidence also indicates that BoU officials wrote off Crane Bank Ltd loans amounting to Shs600b through unclear circumstances. The AG Mr John Muwanga has also queried BoU officials on the flaws in the closure of Teefe Bank (1993), International Credit Bank Ltd (1998), Greenland Bank (1999), The Co-operative Bank (1999), National Bank of Commerce (2012), Global Trust Bank (2014) and the sale of Crane Bank Ltd (CBL) to dfcu (2016). All the former directors of the above closed banks will also be cross-examined by the committee this week. Pressure was further piled on BoU and dfcu Bank by 400 ex-employees of Crane Bank who have since sought the audience with Speaker Rebecca Kadaga to present a petition demanding an investigation into a Purchase of Assets and Assumption of Liabilities (P&A) agreement that was signed between BoU and dfcu Bank without the knowledge of ex-Crane bank staff. The AG also queried this agreement. They are demanding Shs48b in terminal benefits.